Some of Trenton’s neighborhoods will looking a little different in the next few months as the city plans to demolish over 100 unused buildings throughout the city. The $11.5-million partnership between the city, the governor’s office, Greater Trenton, and the New Jersey Housing Mortgage Finance Agency (NJHMFA), aims to be a ” significant and long-needed investment in Trenton’s revitalization,” according to NJHMFA Executive Director Charles A. Richman. “We are grateful to Gov. Murphy and our partners in state government for helping us complete the details of this critical program and ensuring that the money to fund it started flowing,” Jackson said. 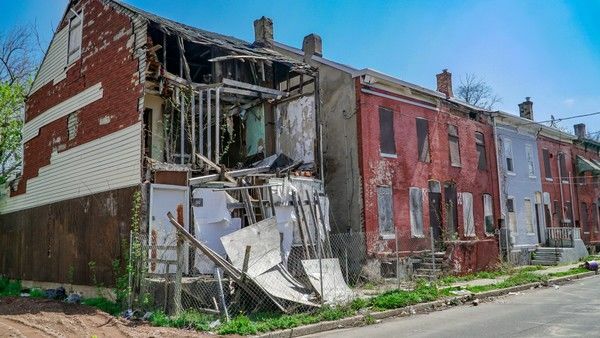 The Urban Blight Reduction Pilot Program, is designed to stabilize neighborhoods and prepare them for new investment, will target vacant, unsafe, abandoned and obsolete properties in all four of the city’s wards. Properties that will be razed are limited to those with one to four units, are owned by Trenton municipal government, and are located in the program’s strategic demolition area. Residential properties with commercial space will also be knocked down.